E-Commerce is evolving at a fast pace. 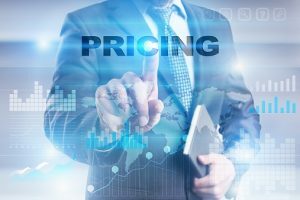 If you haven’t been utilizing IP geo targeted pricing techniques, now is a great time to start. Read on to discover the major benefits of using price optimization this way. When done incorrectly, price optimization causes controversy and damages a brand’s public perception. Good optimization increases sales and fosters happier customers. Price optimization requires strategy combined with trial and error. IP geolocation offers hard data to base your strategy around. Use IP geolocation to analyze your web traffic and start to build a solid pricing strategy based on the data you have.Hard data increases your chance of success, but that’s only one benefit of IP geolocation. Keep reading to find out more! Tax rates can change by city, state, and country. Part of your pricing strategy might need to include tax as well. If your prices is not dynamically change by location, you could be undercharging some customers and thus lead to lost of profits. With IP geolocation, you can optimize your pricing to reflect the tax of each region. Your online store will be able to detect the user’s region and apply the correct amount of tax. For international business, conversion rates might also cut into your sales. The IP identifies the country so you can adjust the pricing to account for the conversion rate. Your competitors are adjusting their prices and launching promotions at any moment. You can’t rule out brick and mortar stores when considering your competition. If your prices aren’t good, nearby competitors can tempt customers to buy an item in person. IP geolocation can consider surroundings for price optimization. With that strategy, your website can detect when a customer is close to a competitor’s store. Offer specialized, low pricing to these customers to keep them from your competitors. Clearance sales are the go-to option for clearing slow-moving inventory. However, they generate high sales losses. With IP geolocation, you will be able to know where exactly slow-moving items are having trouble. If an item isn’t selling well in one region, you can opt to provide some discounts it in that particular region, or even in a few locations instead of everywhere. With geo-targeting, you can target the exact audience you’re looking for based on their location. While IP geo targeted matches customers up with better deals. For an example, a customer living in Maine might want a cheap beach vacation in the winter while another customer in Florida might want to travel somewhere they can have some fun with snow during Christmas holiday. If your website detects their locations and offers specialized deals, both customers come away happy. Offering the optimal geo-targeted promotions will ensure your success in every single city. Market research shows that company that introduced price optimization has increment in their overall margins by 17-25%. Customers visiting your website from different physical locations have different price expectations. With geo-targeted pricing implemented enables you to run and promote sales campaigns in more efficient way. That helps you increase sales without impacting your global margins. Mastering the art of dynamic pricing is a real challenge. IP geolocation is the key to matching the right customer with the right price and keep online shoppers updated in real-time. Ready to get started with geo-targeting, contact us!